Around New Year’s time, I noticed they were selling bracelets that you could enscript one or two words on. You could literally wear your resolution, but it felt bigger to me and allowed me to set an intention for the year. Reflecting on the year, I realized I’d spent a good amount of time rushing from activity to activity, and during down time, I either dwelt on the past or planned for the future, never existing in the moment. I chose the word BE for my bracelet and to serve as an anchor to pull me toward the present. Now, when I look down and it catches my eye at the right time, it reminds me to just be still and go with the flow. Sticky notes are so functional because they can be placed anywhere and depict such simple yet powerful messages. My favorite places for them are the office. A lot of people spend their work days glued to their computer screens, working on projects, and responding to emails and instant messages. With so much digital information changing right before our eyes, it’s refreshing to turn and refer to a sticky note with a helpful message. A friend of mine has “You Got This” written with a Sharpie, and it works well for her. I found stones at a store with etched-on messages, and they were perfect. The very first day I got them, I had a session with one of my clients who was working on being kind to herself. She kept repeating that she just needed to forgive herself. One of my stones happened to say “Forgive”, and she took it home that day and has placed it in a prominent place to remind her of the love she wants to give herself. People may goof on pins for having too much flare, but a) I love them and b) who cares what people think? I don pins from Camp I am Me, which is my favorite volunteering experience of the year. They anchor me to all the incredible people and emotions associated with that time and lift me up on even my most challenging days. 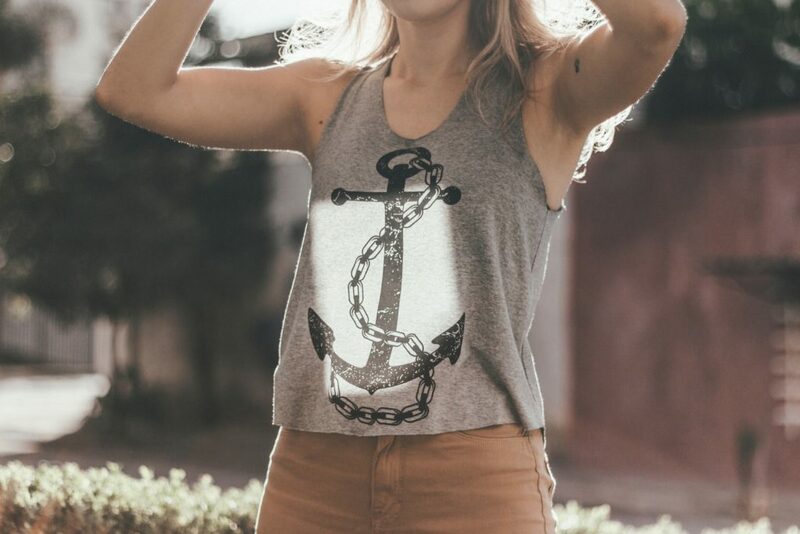 An anchor doesn’t have to be physical. Anchors can reside in our consciousness as mantras and be accessed with a little focus. Technically, mantras are sacred sounds in the form of syllables, words, prayers, phrases, or hymns that are commonly used in the practices of Hinduism and Buddhism. But they can be what you want. For example, if sticky notes aren’t your thing, “You Got This” can be your mantra that you repeat periodically throughout the day. You can borrow mantras, customize, or personalize them. We can all use anchors to help center ourselves and remind us of our goals. What we call it doesn’t matter: be it anchor, reminder, touchstone, or token, as long as you use it, that’s what’s most important. Additionally, sticky notes, stones, pins, and mantras are good examples, but the best ones are those that work for you. What anchors do you use?